Broad Brush Overview: An upper level ridge of high pressure moving over the islands now, will produce drier trade wind weather conditions for most islands through Tuesday. An upper level trough of low pressure will move in from the northwest Tuesday evening, producing increased showers, along with variable wind conditions Wednesday through Thursday. Cool northerly winds return Friday into the weekend, as a high pressure system builds into the state…spreading scattered showers along north and northeast facing mountain slopes. Details: Generally pleasant winter weather will remain in place over the state through Tuesday, as an upper level trough moves eastward away from the islands, and an upper level ridge moves over the state. This ridge aloft will bring downward (subsidence) motions in the atmosphere, and in turn lower trade wind inversion heights for most islands through Tuesday afternoon. 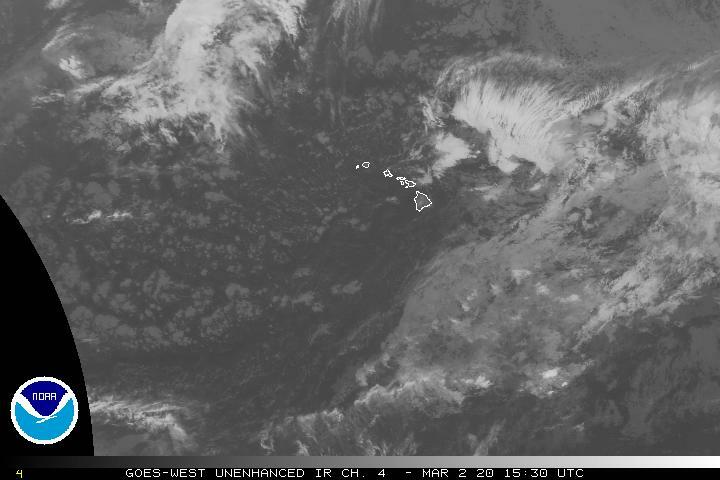 The trades will prevail during this time period, with scattered windward and mountain showers…while the leeward sides will remain generally dry through much of Tuesday afternoon. The weather pattern changes to a wetter situation Tuesday evening, as an upper level trough moves over us, lifting the trade wind inversion heights and allowing deeper clouds to develop statewide. A surface trough will form over the islands, causing winds to decrease and become more variable in speed and direction. These lighter winds will allow some land and sea breezes to develop over each island. Look for enhanced showers to develop through Thursday with the American (GFS) model showing a low forming north of the state. Looking Further Ahead: High pressure builds in across the islands from the northwest Friday, resulting in cooler northerly winds lasting into the weekend. Clouds and showers will tend to favor mountain areas and north through northeast slopes of all islands. Model guidance on precipitation coverage for the islands remains more uncertain than usual from Friday onward…with a split between the GFS and ECMWF models. Thus, more specific details on the rainfall timing and coverage will need to wait until the models converge on a more agreeable solution. Marine Environmental Conditions: Moderate to strong trades associated with high pressure to the north will continue into Tuesday. A transition period is anticipated through the day Tuesday, as an upper trough approaches and begins to disrupt the trade flow. Winds will trend down, likely giving way to land and sea breeze conditions near the coasts Tuesday night through Thursday. Although confidence lowers Thursday night through the upcoming weekend, guidance continues to suggest the low-level flow will shift to the north-northwest direction, as low pressure develops to the north. These cool northerly winds may strengthen into the moderate to strong category over the weekend. Surf along north facing shores will remain up through the week, as a series of overlapping moderate west-northwest swells continue. These sources have been consistently arriving later than predicted. A similar reinforcement is expected to arrive by Tuesday night, hold through Wednesday, then lower into Thursday. 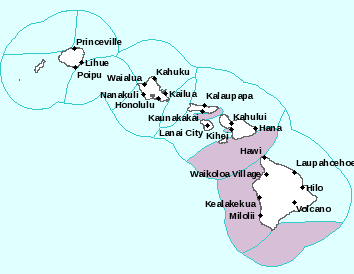 Surf along north and west facing shores will near advisory levels Wednesday as it fills in…especially on Kauai. A more significant west-northwest swell is expected Thursday through Saturday that may drive surf well above warning criteria for exposed north and west facing shores. The source for this large swell is currently being analyzed as a developing hurricane-force low centered near Japan. 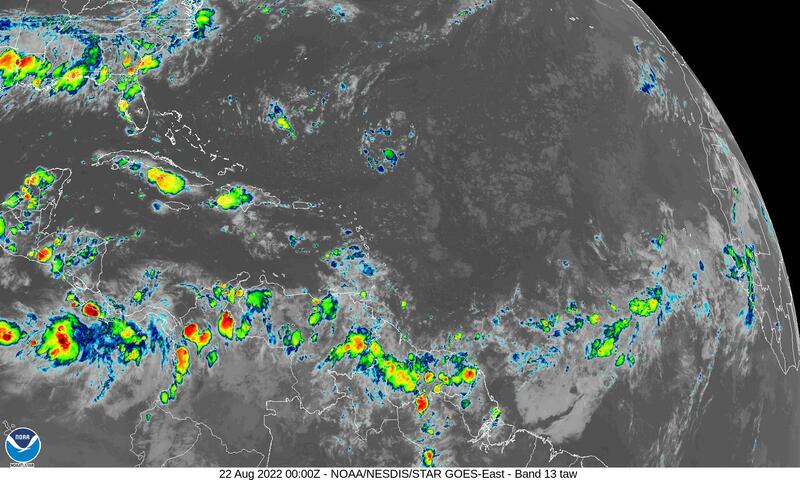 Guidance depicts a sizable area of storm to near hurricane-force westerly winds becoming focused towards the islands. Surf along east facing shores will hold steady through Tuesday, then potentially rise by Wednesday as the wind increases upstream of the state. A northeast swell from a large batch of strong to gale-force northerly winds can’t be ruled out through the second half of the week…likely peaking through the day Thursday. Interesting: A warming world increases air pollution – Climate change is warming the ocean, but it’s warming land faster and that’s really bad news for air quality all over the world, says a new University of California, Riverside study. The study, published February 4th in Nature Climate Change, shows that the contrast in warming between the continents and sea, called the land-sea warming contrast, drives an increased concentration of aerosols in the atmosphere that cause air pollution. Maui the soggy Isle Glenn 😎. ~~~ I see, soggy for sure! The windward sides are getting most of this wet stuff, although even normally dry Lahaina Town is receiving some light showers too! The top of the West Maui Mountains has received 6.00″ of rain over the last 24 hours! Stay dry, and hope for the best Robert! Make it stop Glenn lol. This rainy weather which has been predominant since I got here on Monday sure has put a dampener on things. Seems the forecast weather improvement moves each day further into the future. Oh well I suppose it is supposed to be the rainy season. ~~~ Hi Robert, indeed, our winter rainy season is in full force! I’m not sure which island you are on, although, here’s wishing you some breaks in the wet weather…soon! The wind profile is looking more normal now, with wind coming in more easterly…that long, northerly push was unusual from my experience. I take exception to comment on film “Grounhog Dayl being cheesy! (Place tongue in cheek here)… I find it quite existential, commenting on the human conditions of presumptions, boredom, and sincerity. Lovely movie with added great acting from Bill Murray and Andie MacDowell. ~~~ Hi Jay, indeed, the more normal, and warmer, trade winds are returning. Thanks for your comments on the Groundhog Day article…I greatly enjoyed the film as well! with a smile and a song in my heart !! 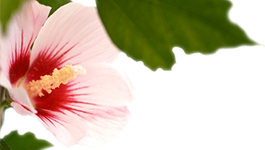 ~~~ Hi JJ, good to hear from you, thanks for your warm hello! You are very welcome, I enjoy keeping you and everyone else well informed about our island weather situation…and a few other things. Aloha in Calif. Wanted to relate an incredible moon site from yesterday morning; As I got in my car, the large surf pounding the Puna coastline, the waning moon, rising in the dawn sunlight, caught my eye. There, perched perfectly on the tip of the Crescent, a brightly shining Jupiter was balanced exactly on top, a crowning jewel if there ever was one ! Had to stop and stare as the reality set in. Guessing not many people noticed it, being as one’s view of the sky can vary greatly depending where on the earth’s surface you are, perhaps even from Island to Island! In 5 decades of moon-watching, the most striking, captivating sight I’ve seen. Sorry you missed it! Peace to you and yours—M.R. ~~~ Hi Mister Rich, thanks for letting us know of your amazing sighting of the current crescent Moon/Jupiter configuration. I, like yourself, am a regular moon watcher, and have been watching Jupiter’s interactions closely…at least when the weather permits. I did happen to view this recent sighting myself. Jupiter wasn’t quite as close to the moon as you describe…although it was very close! It stopped me in my tracks, and I took a good long look at it, and even thought about taking a picture of it. I love these events that the moon has been presenting us with lately! Amazing bands of rains have been falling for over 12 hours, some are pushed by significant rain gusts. Breaks of light misty rains in between, yet hardly any cessation since about 6am. Have an excellent Thursday afternoon. 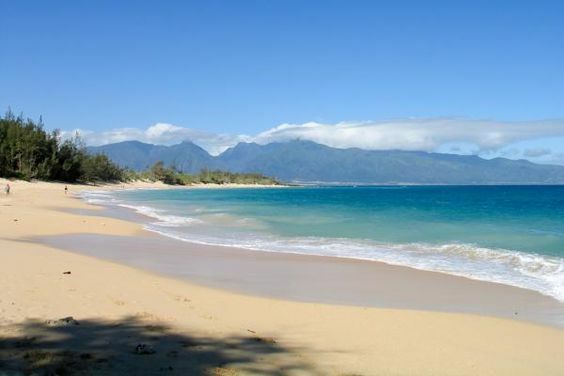 ~~~ Hi Eliza, thanks for the detailed report…sounds like upcountry Maui winter weather to me! ~~~ Hi Dr. John, oh yeah, I know that feeling all too well…as do so many others who are suffering through this super cold weather on the mainland! You’ll see me up on Crater Road skateboarding again, it’s just a matter of time. I’m well, thanks for asking! You stay warm while biking up on the mountain, this cold weather will finally start moderating Thursday and Friday…into the weekend. Tuesday morning sees temps of 62-64 from the thermometer on the inside of windward facing louvers. Humidistat is pegged at 100%. Passing showers have had various intensities. Where the current 11:20am one being the one of the longest, most gusty, and delivering varying sizes of raindrops. Glad the moisture is here, just wish the temps were a tad warmer for personal comfort. If I recall correctly, last winter we had the chilly temps yet not much rain affiliated. Can’t recall the wind status at that time. Feral cats are demanding a bit more food to fuel them through these temps. Happy to oblige. No clue where they hide in rainy weather. Mahalo nui for your reports. Best outcome to all in these changing times. ~~~ Hi Eliza, great to receive and now share your upper Pukalani weather reports, and the status of those feral cats! I used to live in upper Pukalani many, many years ago, I remember those damp chilly winds…prompting jackets during the days, and warm socks at night! Hang in there, stay warm and dry, and thanks for your positive comments about my website weather reports. ~~~ Hi Zadoc, glad to know that you find my website useful…thanks for letting me know! We arrived today on Maui and wow it’s very windy. When do you think it will it abate as I’m getting mixed signals. ~~~ Hi Robert, these chilly winds will continue through mid-week, with more typical trade winds returning Thursday and Friday. It appears that this “air in a hurry” should gradually get lighter by the weekend…probably. Hey Glenn. 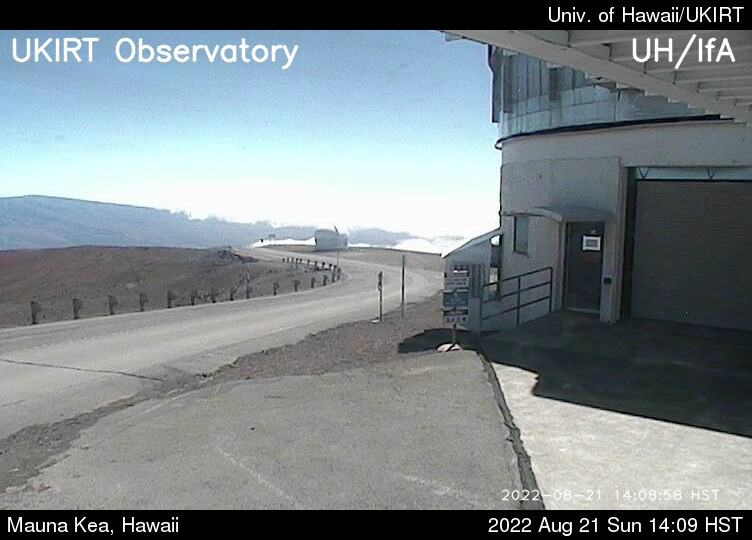 I noticed that the temperature at the summit of Mauna Kea reached 11 degrees this morning at the NASA IRTF telescope, and 12 degrees at multiple nearby telescopes. This would officially be the new record low state temperature! ~~~ Hi Max, thanks for your note. Wow, indeed, very cold on those Big Island summits…brrr! ~~~ Hi Danielle, thanks for your note. Actually, I’ve been updating the temperatures many times per day, not sure why you aren’t seeing this. Have you reloaded the page you’re looking at lately…that would refresh the numbers.